What is worse than finding out that one of your important prescriptions is contaminated with bacteria or heavy metals? Perhaps it is finding out that it contained little or no active ingredients. Since the FDA finally began to get serious about cGMP issues (current Good Manufacturing Practices), many drug plants now find themselves shut down or closed for upgrades. As a result, we now find that dozens of pharmaceuticals in the United States are in short supply or face long delivery delays. According to information from the Wall Street Journal and University of Utah Drug Information Service, thousands of Americans are facing difficulty getting the lifesaving drugs they need. 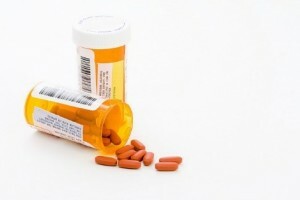 Dozens of different brands of medicine are simply not available today; medications such as chemo drug and antibiotics. According to the Journal, some drugs don’t have alternatives that are equally effective meaning patients are at risk. Many pharmaceutical companies have profit margins well in excess of 20%, something unheard of in most industries. While most workers make decent wages, the CEOs bring home $20 million per year or more. Instead of modernizing plants and keeping their operations safe, a few greedy pharmaceutical companies hope to squeeze a few pennies of profit by outsourcing manufacturing to questionable contract manufacturing companies or offshore startups. The solution isn’t less regulation, its making sure that companies produce safe drugs. How do we insure safe drugs? Better inspections and more whistleblowers. We take for granted the safety and strength of the prescription medications that we take every day but recent stories show that some drugs are so badly contaminated that they do more harm than good. Still others have no active pharmaceutical ingredient or API. Instead, they are 100% fillers. Under the federal False Claims Act, whistleblowers who come forward with information about unsafe drugs and violations of the FDA’s cGMP manufacturing rules can earn an award based on the amount the government recovers. With triple damages, typical whistleblower awards in pharma cases are huge. To qualify, the whistleblower must have inside, original source information and the drug must be reimbursable by the government. Typically, that means by Medicare, Medicaid or Tricare. There is no requirement that the drugs were manufactured here or that the whistleblower be a U.S. resident. In 2013, the Justice Department paid an Indian man $48 million for information about bad generic drugs made in India and sold in the United States. Drug shortages don’t need to lead to unsafe drugs. Despite the pressure to rush product to market, no wins when corners are cut or safety is compromised.